How do you know what quilting motif or design to use? PREVEW or AUDITION your design first with Quilter's Preview Paper. 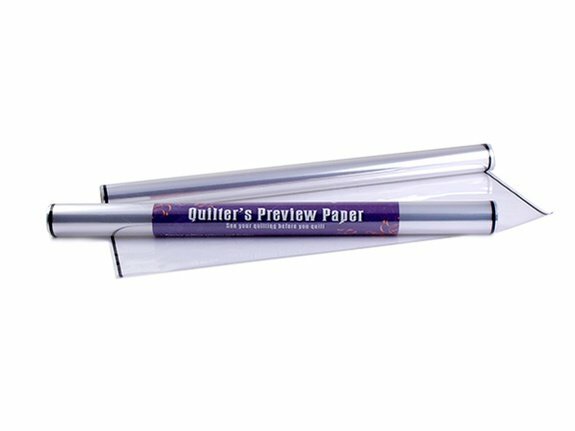 Why use Quilter's Preview Paper instead of other clear films? Clear films are so clear, you can't see the edges. We wrote on our quilt tops not once, but twice with permament marker because we were using clear paper. Quilter's Preview Paper is printed with a line on the edge to define the edges so you'll know the boundaries of your drawing surface.